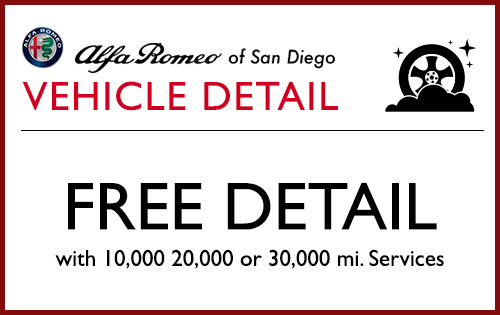 Free Detail with 10,000, 20,000, or 30,000 mi. services. 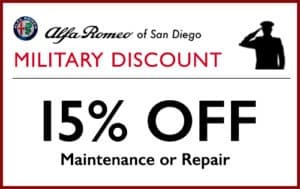 Alfa Romeo Models Only. 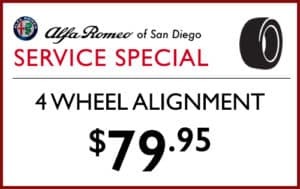 Expires 4/30/19. 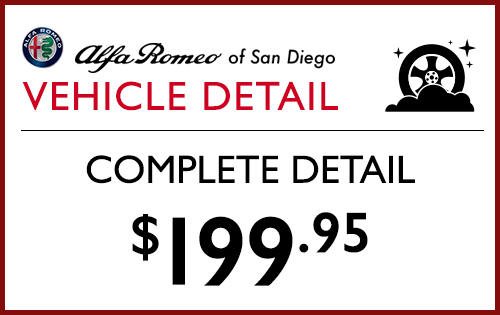 Complete Detail $199.95. Any Model. Expires 4/30/19. 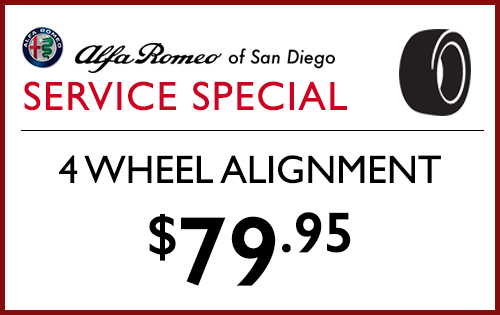 4 wheel Alignment $79.95. Any Model. Expires 4/30/19. 15% off Military Discount. Any Model. 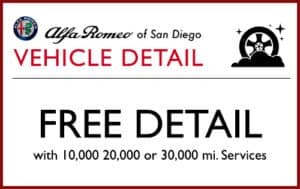 Expires 4/30/19.